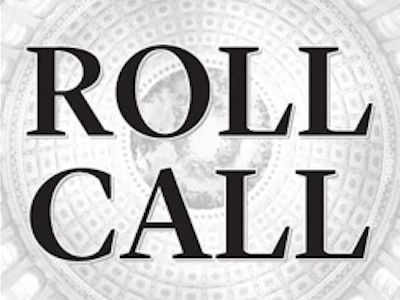 Roll call has announced the promotion of Kyle Trygstad to features editor, per a staff email from editor-in-chief Christina Bellantoni this morning. Trygstad has been with Roll Call for over four years now, having served as associate politics editor and lead reporter on Senate campaigns for the publication. Below is Bellantoni’s email to staffers announcing Trygstad’s new role. I’m excited to officially announce that we have promoted Kyle Trygstad to Features Editor. In his more than four years at Roll Call, Kyle has always been more than a reporter, and he’s the sort of reporter who makes a terrific editor. When he first started here, Kyle mentored more junior writers, and has always had a knack for catching errors and making sure our collective work is high-quality and accurate. It’s a little secret among the editors that we all love to edit Kyle’s work because he files clean, precise copy that is fun to read. As Shira put it recently, “Kyle improves every story he touches.” I couldn’t agree more. When Shira was doing the Harvard fellowship last winter, Kyle became her backup in the office and we promoted him to Associate Politics Editor, and he did a great job taking on the added responsibility. He closed out the election cycle with vivid and interesting stories about top candidates, races and the players who were part of the national story (see: A Day in the Life of Rob Collins), and kept it up when the 114th Congress began, offering P1 profiles of Gwen Graham and helping readers understand why state clout in Arkansas is important. Today’s front page is another great example as Kyle chronicled a most unusual chief of staff. What I love about the piece is the guy refused to cooperate, and Kyle found a way to make it work anyway. After three election cycles on the politics team, we’re moving Kyle to take over an ambitious new portfolio that emphasizes multimedia and strengthens our brand recognition and goodwill. He will take on our Roll Call at 60 project and work with reporters on the longer-term profiles critical to Roll Call. He’ll continue to edit, and his voice will remain in the paper, with feature stories that are engaging and on the news while keeping to our core mission of covering Capitol Hill as a community. On any given day he might be writing about congressional or campaign news, but he’ll have the flexibility and freedom to quickly hit the Hill for an interview or assign a photo or video project. Kyle is taking some well-deserved time off (and celebrating his birthday today), but when he’s back in the office please take a moment to wish him congratulations. Bellantoni also congratulated Trygstad on his promotion in a tweet earlier this morning.